Reading: Re-reading a few special chapters of Musicophilia in honor of the legendary Oliver Sacks, who passed away on Sunday. Minds and spirits like his occur only a few times a generation. Arranging: A few edits (and one major revision) for Satellites charts. 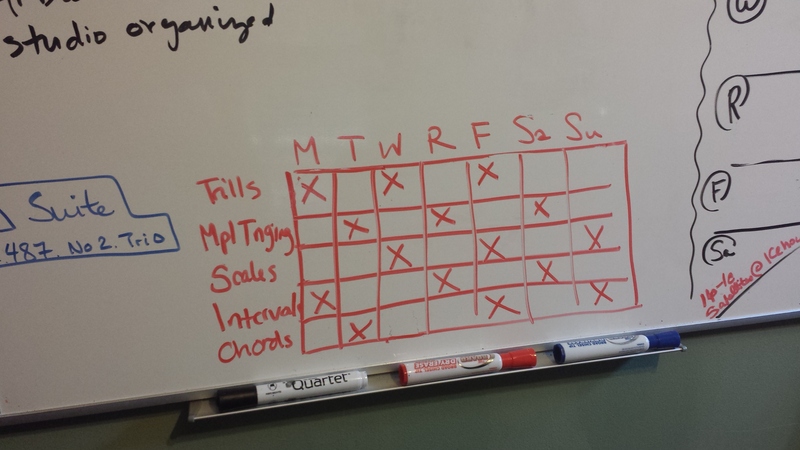 Practicing: I’ve created a practice grid to help me remember to cover all the basics! Rehearsing: Satellites had full band rehearsal on Sunday night. I’m so excited to put this band on a stage and see what we can do. 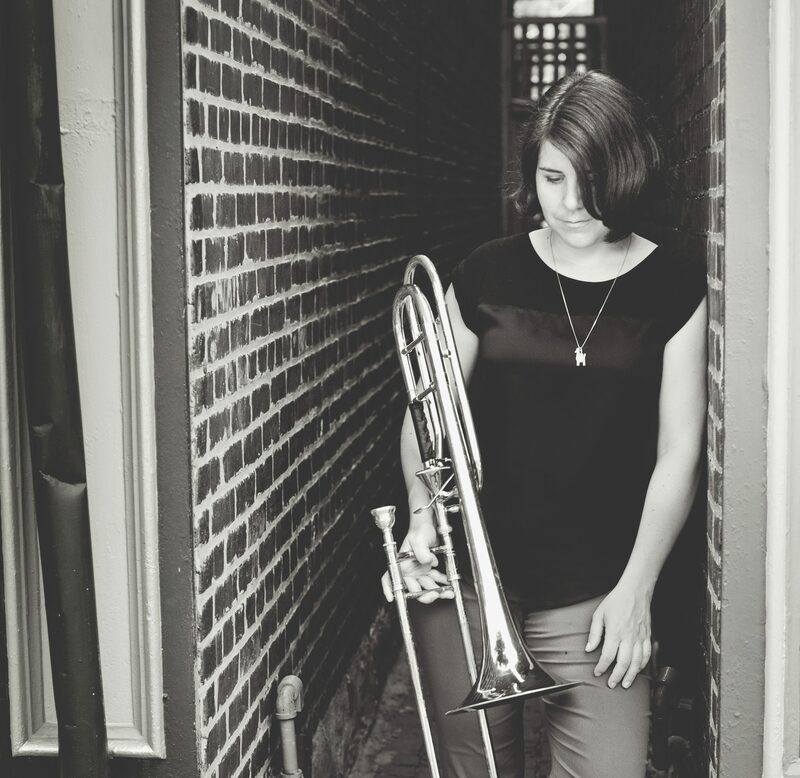 Performing: TONIGHT at Jazz Central Studios, playing 3rd bone with the Bill Simenson Orchestra. 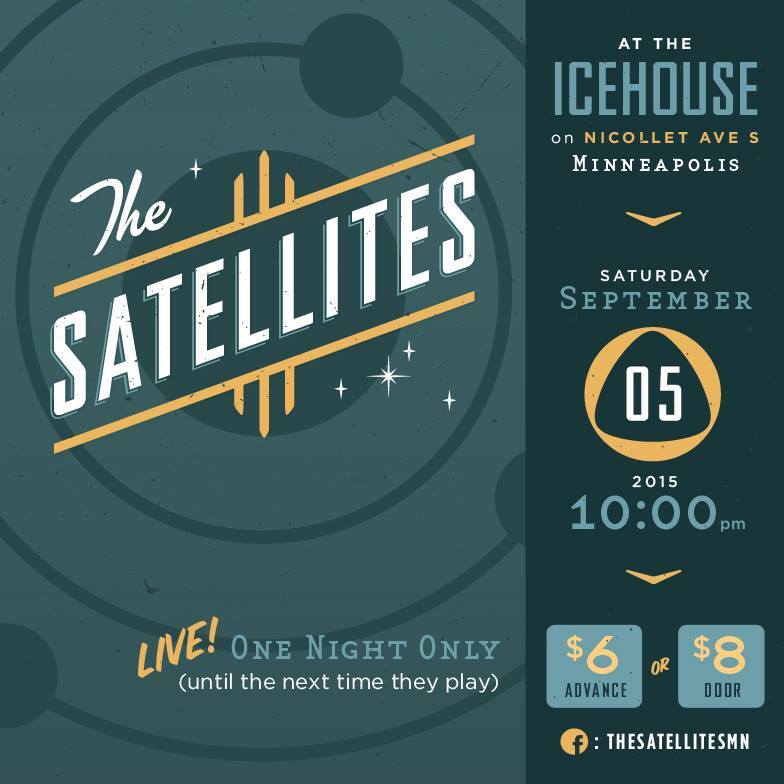 AND Saturday: The Satellites Sept 5 at 11pm, Icehouse. Our premiere gig! Listening: Sometimes the overloaded music brain needs a break. I’ve been mostly listening to news and podcasts. Teaching: End of summer preparation for lots of students- getting those chops back for band camp and rehearsals and auditions. For some marching band folks, I’m offering ‘crash courses’ on how to effectively memorize music. Relaxing: Labor Day weekend is upon us already! I’m taking it easy- staying in town- and enjoying the daylight while it lasts.